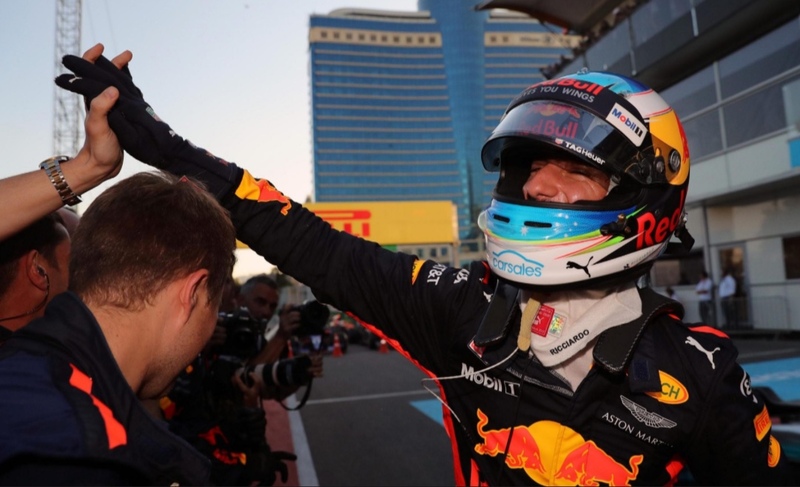 Very happy to see Aussie Daniel Ricciardo take the top step of the podium in Azerbaijan this weekend. An eventful race, won by someone showing great maturity while chaos reigned around him. This photo really says all you need to say about this GP victory.